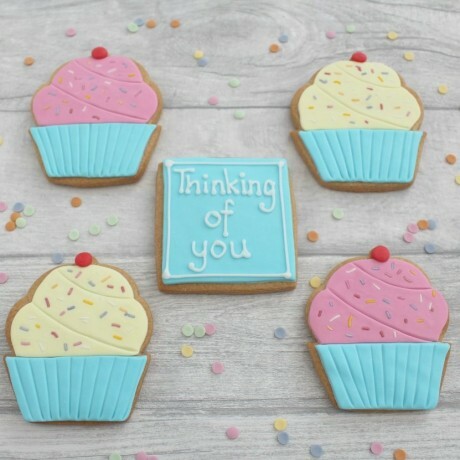 Thinking of you gift cookies. Five vanilla biscuits as shown. The square cookie is approximately 3" square in size. Other flavours of biscuit such are available, choose using the option. I hand make my coloured paste, so colours may vary slightly, and screen colours may also change the colour of the original product. 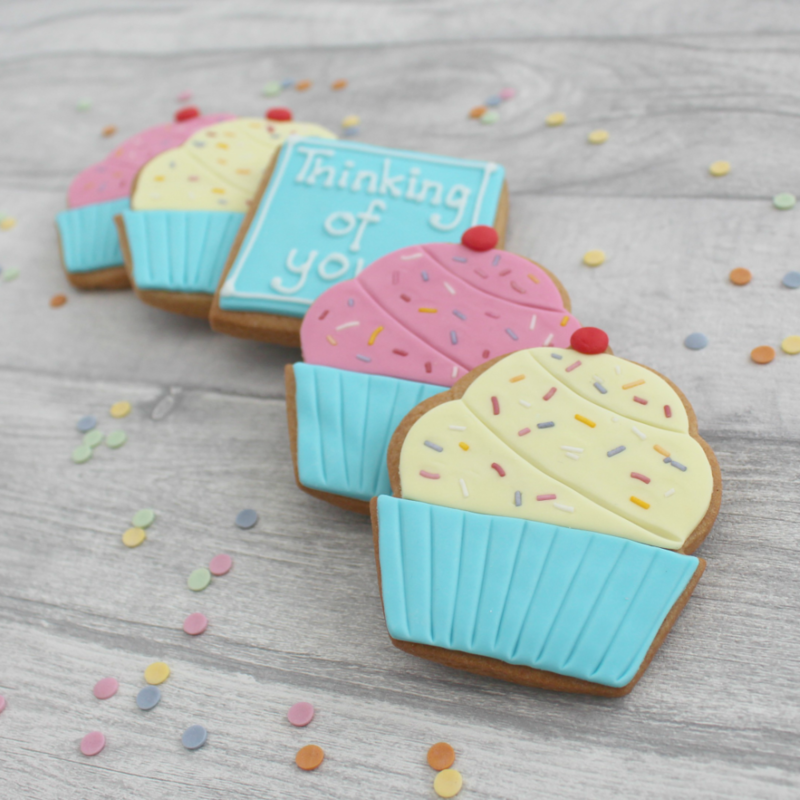 Each cookie is individually wrapped and posted in protective wrapping and in a mailing box to reach you in perfect condition. Handmade in my fully insured and 5* rated kitchen.